Is the White House "Bugged"? One day recently, as President Charles De Gaulle of France was conferring in his quarters at the Hotel La Perouse in Paris, his son-in-law rose, suspiciously examined a cornice, lifted a carpet and discovered a microphone. Sometime later, De Gaulle's son-in-law declared that the French President's quarters had been "bugged" by one Roger Wybot, head of France's crack counter-intelligence service. Wybot denied having anything to do with the job. Nevertheless, he was promptly banished to the boondocks as a lowly inspector of police schools. The point is, if the French President's private chats could be tapped, what's to prevent the same thing from happening here in the United States? That such a thing could happen behind the sacred portals of the White House is no longer unthinkable. Look what happened in our embassies abroad -- 129 wiretaps found in them since 1951. The State Department, understandably perturbed by all this eavesdropping, has asked Congress for $1,546,788 to spend on bug-detection equipment. 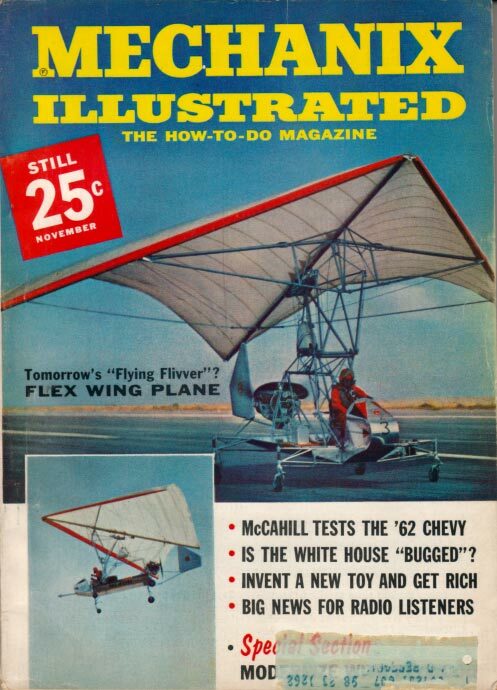 The experts in bugging are the Reds; most readers will recall how they presented our Moscow embassy with a beautifully carved Great Seal of the United States in which was hidden a wireless mike. Our representatives abroad have come to accept the fact that anything they say, anywhere, is probably being recorded. The fact is that the Reds have the know-how, the equipment, the contacts and the fanaticism to bug the White House, and a good reason for wanting to do it. Have they succeeded? For the answer we went to U. E. Baughman, former chief of the U.S. Secret Service. "What anti-bugging precautions are taken to protect the White House and the President?" we asked. As usual, the Secret Service -- living up to its name -- gave away no details. Mr. Baughman merely smiled and replied that the Secret Service "has become alert to all the uses and potentialities of modern electronic devices." And that was that. While methods and devices -- they're called "sterilizers" -- used to protect the White House are secret, some indication of their nature might be gained from the electronic robots that guard the National Archives Building in Washington, D.C. This system, which blankets the 198 stacks where precious documents are kept, is so sensitive that even the shadow of a mouse sets it off. The heart of the system is a central console, constantly manned, which indicates what is happening in every nook and cranny of the building. Electronic private eyes cross and criss-cross the building's floor space and doors. The passage of anyone through these rays is automatically recorded at the master console and elsewhere, for double protection. If such protection is in use at the National Archives you can wager that similar systems -- or better ones -- are installed at the White House and State Department. As for telephones, the President -- for anything that might be of a classified nature -- uses a unit that can scramble any conversation, outgoing or incoming, garbling it to anyone not using a similar instrument. A similar radio telephone is used by the President aboard his Boeing 707 jet. But snoop devices are equally wonderful. 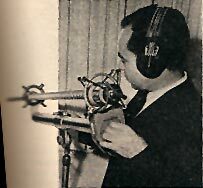 One of the latest is the "gun" microphone shown at left. Aimed from an open window, it can pick up and amplify a conversation being held on a street or in a park several hundred feet away. Even the wide-open spaces are no longer safe from listening electronic ears! Another mike -- the "shotgun" -- is known to be in use by several government counter-intelligence agencies. It consists of a bundle of aluminum tubes with a large microphone at the back end of the bundle. The tubes are all of the same diameter but of different lengths, ranging from six inches to four feet. The device looks something like a small lateral pipe organ. To take advantage of the peculiarities of acoustics, this instrument -- which can be telescoped for carrying in a bag no bigger than an overnight kit -- is built for directional focus. It picks up only those sounds at which it is aimed. With the help of an amplifier, it can even pick up voices through closed windows from a quarter-mile distance. The old days when telephones were "tapped" by cutting into the wires are gone forever. Today a telephone can be "tapped" by merely applying a strip of metallic conductor paint close to a telephone connection, the paint matching the wall color to defy detection. Tiny, automatic cameras, remotely controlled by radio -- no wires anywhere -- can now photograph, through the magic of infrared film, in complete darkness. It's no secret, for instance, that U.S. Central Intelligence Agency agents take such nighttime photographs of everyone going or coming from the Russian Embassy in Mexico City, among other places. Today's transistor microphones and receivers are small enough to be hidden in tie clasps or cuff links, their attached wire recorders in a pack of cigarettes. Cameras are now in existence -- and in use -- that can pick up in good detail objects as small as a silver dollar from a distance of 60,000 feet. Hidden recorders are also highly sophisticated today. One of the tiniest of these units is German-made, weighs only 28 ounces, and is small enough to carry in a vest pocket. It can record and play back 20 minutes of conversation, pick up sound as far as 20 feet away. Another recorder can be carried in a briefcase, with the lock of the case serving as the pick-up microphone. Another model has a wristwatch mike. A wire connects the device, worn on the wrist, to the tiny recorder, concealed in the carrier's clothes. Wire-tapping without a court order is, of course, illegal, even by law-enforcement agencies. The use of secret recorders, though, to take down conversations not transmitted over wires is generally unregulated. A New York State law does make it illegal for a private citizen to record secret conversation in a room unless he is present in the room himself. But nobody is safe from the electronic gumshoes, private or government, and particularly in the nation's capital. In the Federal Government alone, from 50 to 100 different agencies and subdivisions maintain investigative arms apart from the more than 6,500 FBI agents. Uncle Sam employs more than 25,000 full-time professional investigators, not including espionage and counter-intelligence agents. Outside of government, there is a huge private police machine consisting of about 5,000 private detective agencies, employing 150,000 men and women and doing an annual $250,000,000 business. In Washington, D.C. alone, there are more than 1,000 such agencies, many of them unlisted, unregistered and unregulated. All these snoops are in Washington for one purpose -- to snoop. Their persence there is a fact of life. And so the most rigid secruity precautions are necessary and will continue to be necessary in the future. It's a constant war between newly developed, extremely clever bugging techniques and just as clever techniques for exposing and destroying the bugs. But sometimes, counter-espionage agents sadly admit, their security precautions come to naught through completely innocent circumstances or by crossed wires or electronic gremlins that no one can explain. 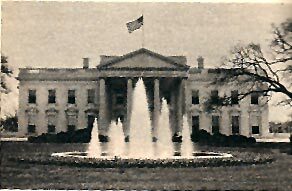 Something of the sort happened recently when the "hot line" telephone rang at President Kennedy's bedside in the White House. This is the phone reserved for dire emergencies, such as notifying the President that a missile attack has been launched against the United States. "Is this the animal hospital?" The President assured him that this most certainly was not the animal hospital. The caller did not give up easily. "Is Mr. Stevenson there?" he asked. "No," President Kennedy replied, "this is the President." That did it. The caller hung up, obviously convinced that he had been talking to some joker who pretended to the the President of the United States. Just how it happened that an ordinary citizen could dial the number of his veterinarian through the Washington, D.C., telephone system and be connected with the President's top-secret phone in his bedroom at the White House, is still being investigated. Undoubtedly it was an electronic freak that could never happen again. But it made some people wonder whether, if such a thing could happen accidently, trained espionage agents could not somehow manage to "cross wires" deliberately so as to eavesdrop on our Government's most secret conversations. Is the White House bugged? There is no reason to believe so and every reason to hope, in the tense world in which we live today, that it never will be.